Carol M. Best Pet Tag website in the US! Why get a pet tag for my pet? There's always a chance your pet may get lost. 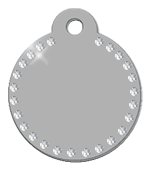 The pet tag is a widely recognized complement to the microchip, which can make a big difference in helping your pet get home safe. The tag is immediately visible in case your pet is found wandering unlike, the microchip. Additionally, with a tag and collar, your pet is more likely to receive help. You can get all the important contact information engraved on your pet's tag as well as the microchip number to deter theft. 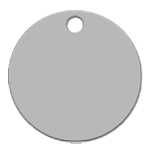 Pettag4life.com offers engraved anodized aluminum ID tags for pets, with a large selection of shapes, colors, and sizes such as bone, heart, oval, round, and rectangular. 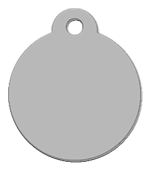 The ID tag medal comes with a free ring to allow you to easily attach it to your pet's collar. The engravings are made professionally with an industrial laser machine.